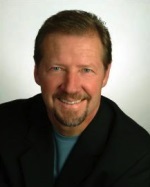 Listen and Obey: A New Realm of Prophetic Revelation God is Inviting Us to Tap Into, by Dutch Sheets. Week five, reading. Properly responding to life's seasons of transition yields beautiful harvests in our lives and in the lives of those around us. Persevering through long stretches of waiting and enduring through the sometimes heart-wrenching challenges that come with change are not easy feats.Nonetheless, if we position our hearts rightly, we will arrive at the horizon of that season victoriously. In my 35 years of ministry, I have been through quite a bit of transition. In the past three years alone we have transitioned out from a 20-year tenure pastoring a healthy church in Colorado, to supporting a youth ministry in Alabama, and now serving as Executive Director of Christ for the Nations Institute in Dallas, TX. And we are still in transition, still receiving new assignments, and still seeking Holy Spirit's direction on how to carry them out. It's keeping us young! Despite the drastic shifts in location and assignment, my life mandate has not changed. Dutch Sheets Ministries (DSM) remains steadfast in carrying out an apostolic mandate to restore hope to America and be a voice for awakening and reformation. Every weekend, I am traveling for DSM and laboring for this great cause. Since the start of this calendar year, I have ministered in over two-dozen cities across the nation, stirring the Church to pray, challenging Believers to be the Ekklesia, and fanning into flame the fires of revival and awakening. All along this journey, through the transitions and the waiting, from one assignment to the next, as well as in steadfast pursuit of awakening and reformation, the most important lesson I've learned has been:make time to listen to and obey God's voice. Many of us have arrived at the place where we stand today only because we've been diligent to lean in to hear the voice of the Lord. Nonetheless, I feel very strongly in my spirit, that to arrive at our next great horizon, we must go to a new level of listening, discerning, and seeing in the Spirit. There is a new realm of prophetic revelation God is inviting us to tap into that will take us to a greater level of authority and assignment. There are new paradigms and strategies being released to the Church that are vital for successfully moving forward into the next season. We cannot allow our attention to be divided. We must identify and remove anything that is crowding out His voice. Not only must we incline our ears to hear what Holy Spirit is saying to us, we must be willing to obey. We must bring ourselves under the authority of what we hear, to submit to it and follow it through to obedience. One thing is certain; God has faithfully met me with an increase of anointing with every step of obedience in my personal life and ministry. And as we continue to listen and obey, we are seeing God raise us up into higher levels of authority and influence. But this is for everyone! This promise of increase is available to you too!The Church has moved into a season of increase. It's yours for the taking! For those who are hungry, for those who are diligent to listen and willing to obey, there is increase available – increased anointing for signs, wonders, evangelism, prayer, prophecy, and more. Lean in close; He is speaking in the quiet. Posture your heart to obey –breakthrough and increase await. This is so encouraging, I do believe that increase is coming the church! I still have hope, that God is raising up a people that will be obedient to the voice of God and his leading and that there will be signs and wonders, miracles to manifest. Leaders that will put there agendas to the side and rightly divide the word of truth without compromise. Listen and and do what the voice of God is instructing and speak his word to this dying world!!! The Prophet and Seers taking their rightful place to restore the Vision and cause their to be order back to the church. 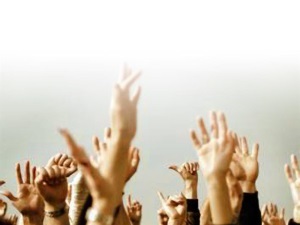 Raise us up God!!! Wow this is so deep. But God has been speaking for so long, in song in movies, In the prophetic atmosphere of disasters, tragedies, movements. There is a shift in the atmosphere. There's an army rising up....to break every chain, and destroy the yokes of disobedience, hopelessness, depression, recession, despair, controlling spirits. dictating, greedy and manipulating spirits...etc. that has crept into the church, and using the profit for self gratification, instead of the needy and those less fortunate. Not all by any means but many are teaching only messages of prosperity, and not Jesus Christ and Him crucified. You rarely hear the word hell and damnation. There is no reverence and fear of God. Just as the days of old. Jesus continuously warned his people of the importance of listening to the voice of God and obey the voice of God. he raised up priests after priests, judges and prophets.... etc.He anointed and appointed Men and women today to preach and teach the unadulterated, uncompromised word of God. with fear and trembling. We see so much going on in the churches that we don't need to go to the night clubs. The night clubs are in the churches. Lord help us. Churches are falling apart while some are living in mansions, Mega Churches. What ever happened to those who came to the church in need and we reached into our benevolent offerings and paid a light bill, gas bill, rent, clothed the naked, fed the poor, Lord help us. My heart bleeds, and hurts for Gods people it seem they have no where to turn. God is not pleased people come to church on the bus and no one will offer them a ride home are pick them up for church because it is out of their way. God is not pleased. Lord help the churches position their hearts right,and allow them to rise to the horizons of this season. God has chose us and we are mandated by the power of the Holy Ghost that has been vested in us to be steadfast in the pursuit of awakening and reformation. Announcing the urgency for complete obedience in hearing the voice of God, understanding and obeying the voice of God, helping them to get back to the shut ins, fasting and praying, National revivals all over the world. being with one accord. Lord I pray that you lead us all into a new level of listening, discerning of seeing in the spirit in order to tap into a greater level of authority and assignment. Lord give us spiritual ears to hear and spiritual hearts to receive and obey the voice of God that we may go out into a dying world and be ambassadors spreading the Gospel, the truth and hearts for winning souls.Then we will see the increase and the overflow in the body of Christ. God is not going to bless the church if no one is being blessed but the preachers. Again I reiterate not all.Pray earnestly for the body of Christ that we will return to our first Love. When we first believed, When we first received. Time is winding up. People are lost and hurting. We must take a stand. It is either holiness or hell. Cry loud and spare none in the spirit of love, and humility. Yes we can't reach success without growth and maturity. We must always take it up another level/notch to experience the next level of greatness with God and in ourselves. Amen, for those walking in the prophetic we always need consist growth and maturity, because God is always revealing new things, so we have to stay open to God's timing for any and everything. This was an awesome reading God wants to move in these last days. We need to lean in closer to hear ever word God speaks to us. We want to be in position to be used by a god to touch millions of lives indirectly and those He uses us to directly minister to. It is time for us to be hungry for the things of a God. Amen, posture your heart to obey. This gift of Prophecy evangelism and prayer will increase if you are diligent in listening and are willing to obey. This sheds a new light on the gifts as far as faith is concerned, if you are consisted and truly want an increase in your ministry, listening and obey is the key factor here. MY THOUGHTS EXACTLY VANESSA HARVELL. Praise the Lord. This met me where I was. I just posted in my last response about the more. As I am sealed. Glory to your name Lord! Glory to your name Lord! Praise you Lord! I went in again, my God. Well, this is confirmation to my spirit and I say yes to the call on my life, even the more God, even the more. I believe when we respond to seasons in our lives in the proper way we will have a beautiful harvest during our transition. We have to wait on God and be obedient, meaning enduring whatever hardships, trails, test, come to challenge us, when we position ourselves with the right heart our season will come and we will be victorious. We have to seek God for spiritual direction on what path he wants us to follow, and how he wants us to carry out the assignments he give to us, but when we diligently listen to God and be obedient to his will and hat he needs us to do, there is a higher realm of prophetic revelation that God gives us to move to a greater level of authority and next assignments. breakthrough and increases await those who will listen, obey, and diligently seek him in this hour and season.